We are always looking for motivated, hard working individuals to join our team. A career in the water industry presents an opportunity to be a part of fast growing field. Send your resume to Bannerwater@sbcglobal.net! 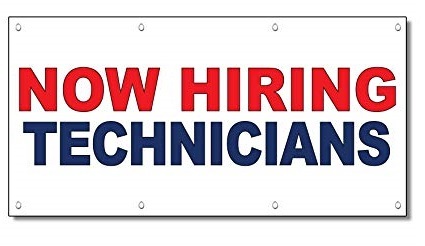 Banner Water is seeking a full time state licensed Technician. An individual who possesses a strong mechanical aptitude and problem-solving skills. Someone who is reliable, hardworking, self-motivated and is seeking a career opportunity. Experience with plumbing and pipe fitting is a plus! As a Banner Technician, you will be responsible for the installation, service, and repair of systems while providing exceptional Customer Service. Candidates must have the ability to maintain proper attendance and punctuality standards. Technician must have a positive attitude and project a professional appearance and manner. Technician will perform all types of plumbing, welding, piping, and manual labor associated with installation, repair and maintenance of water systems. Technician will set an example of cleanliness and organization. Candidates must be reliable, able to multi-task and show attention to detail. Pay will commensurate with experience. Benefits include paid vacation, sick time, paid holidays, 401K matching program.